A new identity and design for a range of ice cream accompaniments for Tesco. 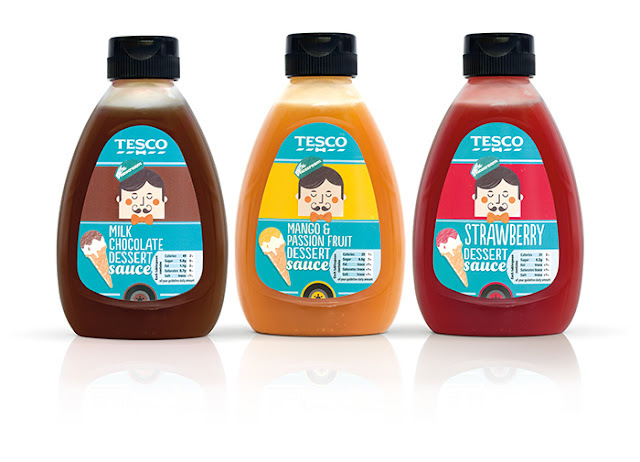 Research showed that there was an opportunity to generate sales of ice cream accompaniments such as cones, toppings and sauces if they were brought together as a distinct range. So, Tesco undertook to launch such a range of products and asked rostered agency R Design to create the identity and pack design. 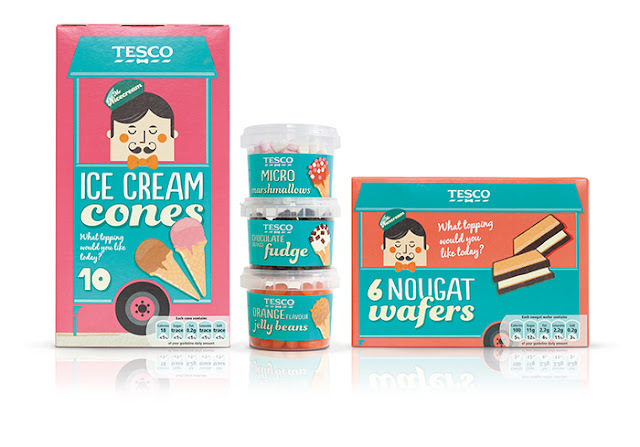 Having researched some initial ideas, Tesco wanted to avoid the obvious clichés around ice cream so R design responded with a design language that suggested the innocence and nostalgia that consumers so fondly associate with the world of ice cream. “Colours, typography and a naïve, almost diagrammatic illustrative style conjure up that warm feeling we have for the ice cream occasion and are used to clearly navigate the product range” adds Richmond.